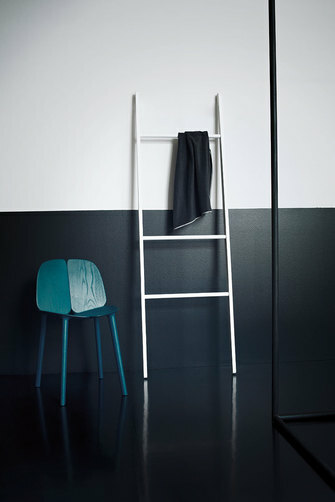 Stairs accessories simply stand against the wall; no fixing holes are necessary. 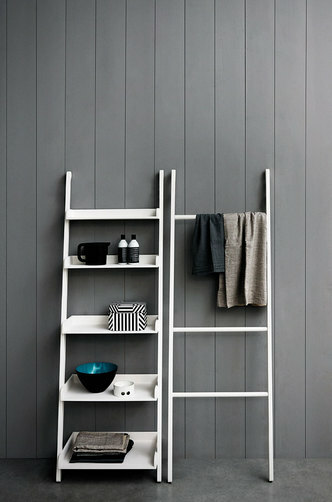 They are available in natural, brown and dark oak, teak or painted white or grey. The versatility and immediacy of Stairs accessories make it possible to create a wide variety of solutions:to bring another wise unused corner to life, or to personalise an entire room. Plant forms which grow and evolve, the reason behind its name "saku", to bloom in Japanese. 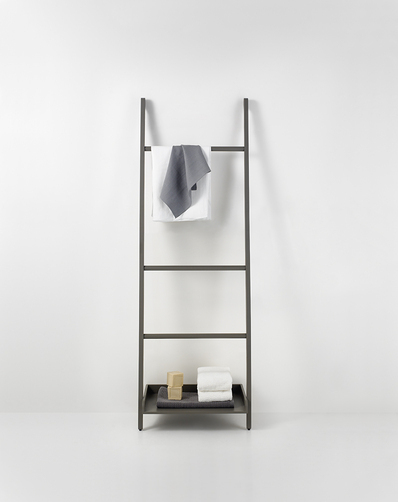 Accessories with silky gloss or matt finish, ideal for nature-inspired bathrooms. Functional forms that do not renounce the touch of elegance that makes them unique.